I’ll say straight off that this is not going to be a blog post written in French. Taking into consideration my laughable ineptitude, attempting that would be pure folly. No, this is just me patting myself on the back for spending the last 5 days speaking, almost exclusively, in French. I feel that I should qualify that statement immediately. 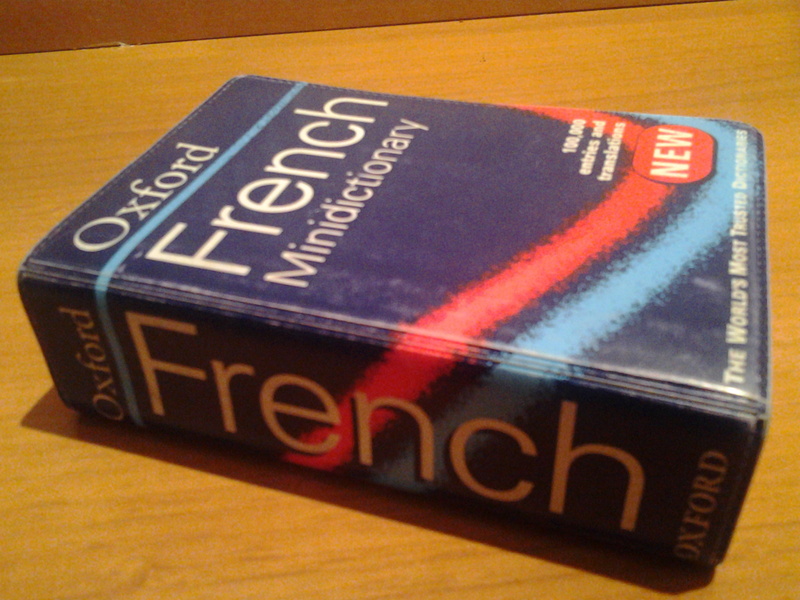 I have actually been speaking very bad, cack-handed, present-tense only, barely comprehensible pigeon French. As bad as that sounds, this is still a massive leap forward for me. “yikes!” *runs away in shame*. The terror comes upon me when I attempt to speak to people, and even more so when they have the temerity to speak back. My palms go all clammy, my mind goes blank. Seriously, completely blank. This year, with trips to Tunisa and Paris happening, I’ve had the opportunity to at least try to address this deficiency. I’ve been using Duolingo rather than books or recordings. I’ve tried those before but somehow I just don’t seem to have made any real progress. Nothing sticks. Duolingo is an online tool which scraps all the conjunction tables, grammar, and vocab lists and just flings little phrases and sentences at you. You are expected to interract with them in a variety of ways: translating French to English, English to French, spoken word, multiple choice, a bit of everything, but always only little, short phrases or sentences. To be honest, I didn’t really feel like I was making any progress at all. I mean, I am able to translate “the woman’s red coat” but so what? On this short trip to Tunisia, I’ve really been forced to use whatever French I have. I have no Arabic at all past “a-salamu alaykum”, and I can’t get far on that (although it’s worth knowing it, to be polite). So I’ve tried in French (everyone in Tunisia speaks Arabic and French). To my enormous surprise I have been able to actually remember things past “scoozy mwa”. I’ve even been having what a very generous person might call ‘conversations’ (see my earlier qualification). The fact that I have actually been able to remember more words and some basic responses to questions at the moments when I actually need them has increased my confidence and so enabled me to resist the ‘flight’ response. People have been supremely generous and helpful of course. Despite what the doom-ridden media would have us all believe, most people actually aren’t utter bastards just for the hell of it (some people are, but not most). So anyway, I don’t know how it worked, or when this happened, but my brain has shifted slightly in the ‘language learning’ cortex. I don’t suppose that I’ll ever be a master linguist, but progress is progress. * just to be clear, I have NOT been saying this to people. Sounds a bit like me when the fact that I did ‘O’level and Business French at school and secretarial college catches up with my life in a busy West End store!